If you do not wish to vote at this time, click here to visit Thug Battle stats. 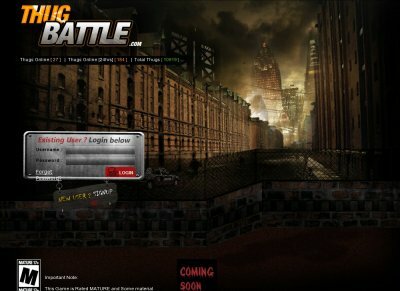 Thug Battle is an online text based browser RPG game based around criminal life. You take the role of a Thug and your goal is to raise your overall rank. Your rank is determined by your fighting stats. You train in the gym to raise your fighting stats. There are many features in the game to keep you going. Come in and explore for yourself :) The game has a growing community with an active owner/programmer. Unleash your inner Thug !